Bowlingequipment.us is first and foremost an equipment provider for bowling centers and family entertainment centers offering state-of-the-art captial equipment and the highest quality installation service available. Founded by Dorman Spencer, proud Allied Member of the BPAA, with nearlly 40 years experience in the bowling industry, Bowlingequipment.us delivers turnkey bowling centers worldwide. 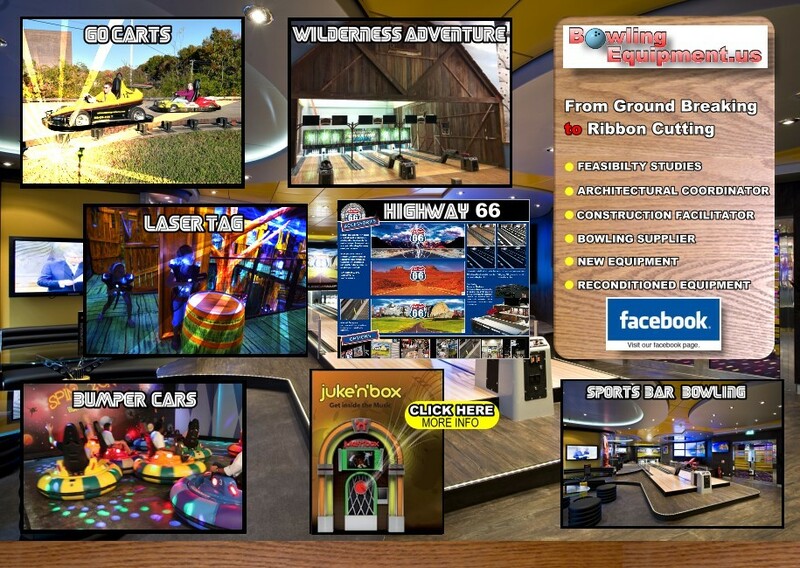 From a single lane for your residence to a full-scale family entertainment center with bowling lanes, arcade, sports bar, go-carts, bumper cars and even roller coasters, Bowlingequipment.us is a name you can trust for personalized service with no hassle and no run around. By partnering with several leading companies, Bowlingequipment.us can offer a wide variety of bowling equipment, new and reconditioned pinsetters, conduct your feasibility studies, serve as your architectural coordinator, your construction facilitator and your ancillary supplier. "Think outside the box" is our credo. We will help build the right facility with the right equipment for you and your community. All designed to be not only the best in town, but one with huge returns. Whether you are building a new facility or remodeling an existing facility, contact Dorman Spencer at Bowlingequipment.us today!